What is Photovoice? Photovoice is a participatory research and critical thinking method that allows patients and community members to share their experiences and collaborate for change. Using photographs can illuminate barriers to access, illustrate quality of care, and influence policy and resource decision making in respectful and supportive ways. It can help unite service providers and patients through visual accounts to understand and to address health care issues as a shared endeavor. It is an innovative technique of interest to community members, graduate students, policy makers, professionals, and more..
History: Photovoice was developed by Caroline C. Wang of the University of Michigan, and Mary Ann Burris, research associate of the School of Oriental and African Studies (SOAS) at the University of London. In 1992, Wang and Burris created what is now known as "Photovoice" as a way to enable rural women of Yunnan Province, China, to influence the policies and programs that affected them. It has since been used among homeless adults in Ann Arbor, Michigan. and among community health workers and teachers in rural South Africa by Dr. Claudia Mitchell et al., and with girls, Township youth, and brain injury survivors with Dr. Laura S. Lorenz. The concept owes a debt to the Paulo Freire's pedagogy related to critical consciousness, feminist theory and empowerment. Perhaps the best of description of the history of Photovoice is to start here Photovoice from Wikipedia. ** Workshops/Lectures/Talks: Laura offers Photovoice Workshops on the Photovoice method and organizing and managing your Photovoice project. Workshop participants have included educators, facilitators, service providers, researchers, development workers, and others seeking to gain conceptual and hands-on experience with this dynamic community assessment and reflection method. Workshops are tailored to meet audience needs. Participants leave ready to design and implement a project in their local context. A CD of conceptual and practical materials for applying Photovoice and managing project logistics and outreach is provided. To learn more about Laura's Photovoice Lectures and Workshops please visit the Lectures and Workshops** page here. LTC - Lowell Telecommunications Inc.
"Talking with Pictures" is a participatory research project that looks with fresh eyes at community integration of older adults with brain injury and other neurological conditions in Lexington, MA. Our method is Photovoice, which uses photographs and captions to understand lives, experience, and community. This project is supported by a grant from the Dana Home Foundation. *Note: On Thursday, March 26th 2015 the “Talking with Pictures” team is presenting a workshop at the 34th Annual Brain Injury Conference of the Brain Injury Association of Massachusetts, for more information about the workshop and conference brochures click here. Supportive Living Inc is a non-profit organization whose mission is to raise the quality of life for survivors of brain injury. Read more about this fascinating project and article from the Lexington Minuteman Wicked Local Article Oct 18th 2014 issue of the paper here. Photovoice Project and is taking photos of what works and what doesn't around town to help start a dialogue. Supportive Living Inc Lexington, MA (2015). Talking with Pictures. Get a glimpse of just how PhotoVoice impacted the lives of individuals and their understanding of their community. Talking with pictures is a participatory project that looks with fresh eyes at community integration of older adults with brain injury and other neurological conditions. This Supportive Living Inc. project was supported by a grant from the Dana Home Foundation. 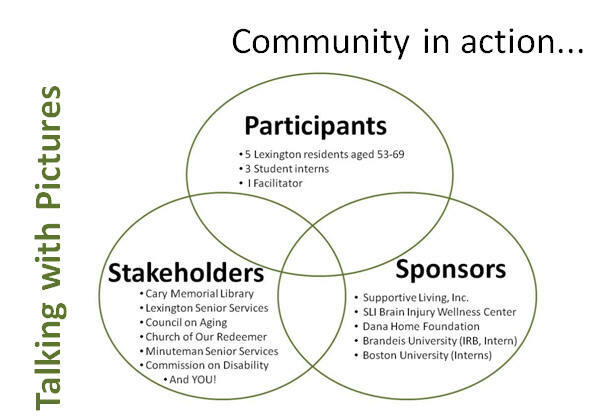 A grant for a study to understand supports and barriers to community integration for older adults with brain injury and other neurological disorders. 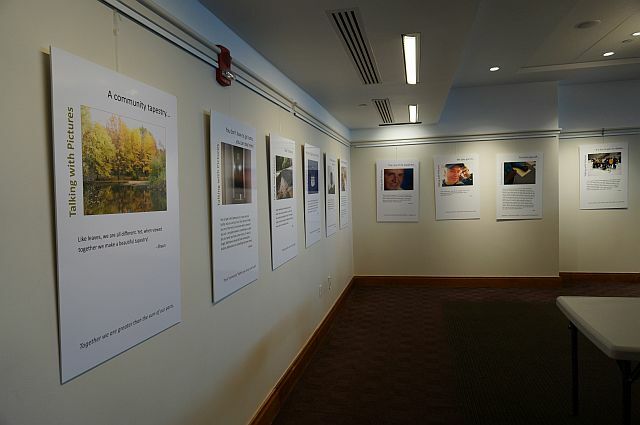 This study is using the PhotoVoice methodology and evaluating personal and community impacts of the PhotoVoice intervention, which has resulted in an exhibit of 15 posters with participant photos and captions which was open to the public at the The Cary Memorial Library main branch public library in Lexington, Massachusetts. A glimpse of just how PhotoVoice impacted the lives of individuals and their understanding of their community. Talking with pictures is a participatory project that looks with fresh eyes at community integration of older adults with brain injury and other neurological conditions. 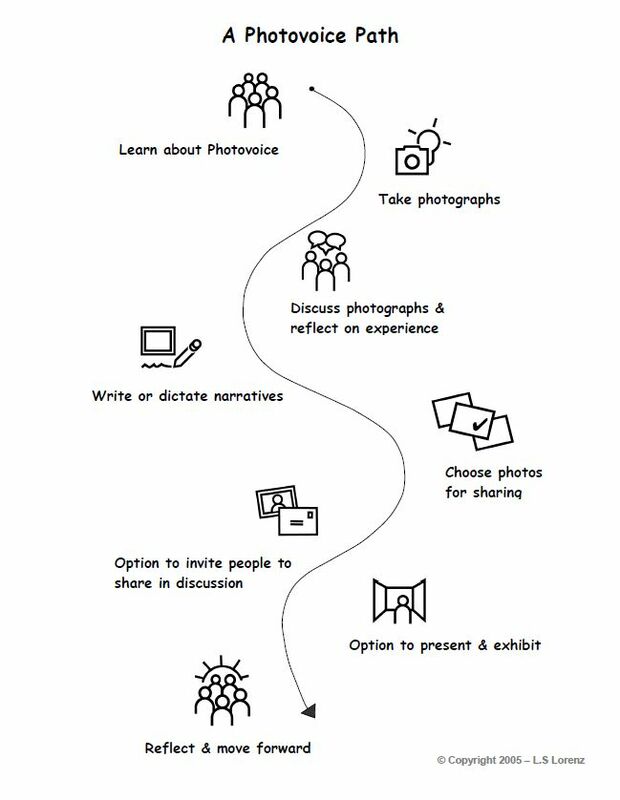 The method was Photovoice, uses photographs and captions to understand lives, experiences, and community, Participants met 12 times to discuss the research topics and photos, write captions, and prepare an exhibit. The film (included) represents what the participants wanted to reflect on, document, and share in an exhibit to create awareness in their community. View this video by clicking here Talking with Pictures or the image above. Video (9:54 Min). *Note: For more information or questions about this project please contact Laura by emailing her at laura@lslorenz.com, or use our Online Contact form (here). Please include Photovoice with SLI Supportive Living Inc Lexington in the subject line. Visit the Lectures and Workshops section of this website for information on learning about one-day, two-day, and five-day PhotoVoice workshops for educators, facilitators, health and social service providers, researchers, international development workers, and others seeking to gain conceptual and hands-on experience with this innovative participatory research method. For more information on these and other Photovoice projects please contact Laura by emailing her at laura@lslorenz.com, or use our Online Contact form (here). Please include in your subject your question and interest. Girls Inc. Photovoice: Cultural Ambassadors Project (CAP) builds on Girls Inc.’s 10 years of experience with photovoice, an after-school program that puts cameras in the hands of adolescent girls so they can take photographs of community resources and problems and share them with each other and with people who make decisions, and expands photovoice to encompass an investigation of culture and strengthen the research skill-building aspect of photovoice. Photovoice: CAP aims to enhance girls’ understanding of culture in a global sense: how culture shapes behavior, beliefs, and sensibilities; appreciation for diverse beliefs, appearances, and lifestyles; and comprehension of ways in which culture can be a tool for positive change. Project activities will take place at Girls Inc. of Greater Lowell, Lowell High School Freshman Academy, and BR21 Middle School in Vienna, Austria. Photovoice: CAP will provide an opportunity for girls to develop individual understandings of culture and express them freely using photographs, captions, Internet sharing, and exhibits. The knowledge they develop and capture in their photographs, captions, and outreach efforts, will contribute to the global conversation about culture and development and contribute to understanding of ways in which young people can make positive contributions to culture – both local and global. It is anticipated that Photovoice: CAP will contribute to the growing awareness of young people as resources for themselves, their families, and their communities. An associated research study “Investigating Culture through Participatory Photography: Youth as Learners and Teachers” will evaluate the effectiveness of photovoice as a collaborative learning and empowerment program for girls. The evaluation study will seek to understand how youth participants in Photovoice: CAP develop understandings of culture, both individually and collectively, and the impact of Photovoice: CAP on their self understandings, self development, and interactions with others. Dr. Lorenz’s Photovoice: CAP collaborators include: Girls Inc. of Greater Lowell; Tara M. Brown, Assistant Professor, Brandeis University; and Bettina Kolb, Lecturer, University of Vienna, and a Social Scientist at Oikiodrom the Vienna Institute for Urban Sustanability. *Note: For more information or questions about this project please contact Laura by emailing her at laura@lslorenz.com, or use our Online Contact form (here). Please include "Re: Girls Inc. Photovoice Global Ambassadors Project" in the subject line. Visit the Lectures and Workshops section of this website for information on learning about one-day, two-day, and five-day PhotoVoice workshops for educators, facilitators, health and social service providers, researchers, international development workers, individuals, and others seeking to gain conceptual and hands-on experience with this innovative participatory research method. For more information about the Photovoice with Girls Incorporated of Greater Lowell project initiated 10 years ago please click here. 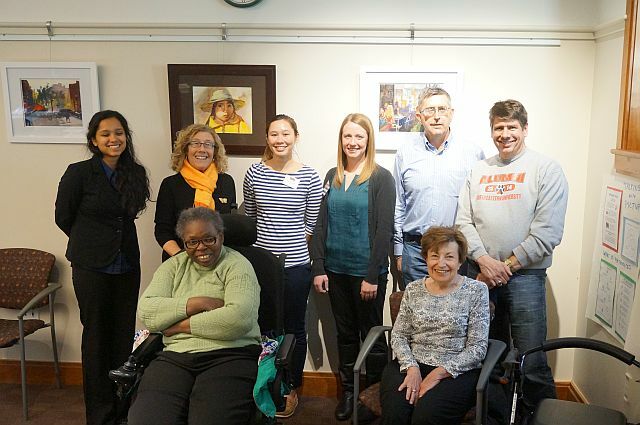 Laura co-facilitated a Participatory Action Research (PAR) wiki project using photovoice with eight members of the ‘Mild’ Brain Injury Survivor Support Group in Framingham, MA. and two brain injury survivor co-facilitators (Barbara W. and Laura F.), with support from the Brain Injury Association of Massachusetts BIA-MA and the Massachusetts State-Wide Head Injury Program. Action research in the tradition of Kurt Lewin involves scholar-practitioners integrating science and practice in a dynamic group and organizational setting. Photovoice wiki is a type of action research and involves asking participants to represent their lives, point of view, and experience using photographs and narratives developed by Caroline C. Wang of the University of Michigan, and Mary Ann Burris, research associate of the School of Oriental and African Studies (SOAS) at the University of London. This project created by Laura S. Lorenz PhD., Barbara Webster, and eight members of the Brain Injury Association of Massachusetts Framingham support group is intended to provide an opportunity for the members of a brain injury survivor support group to reflect on living with brain injury and their progress in dealing with this major life change, raise awareness about brain injury, and help policymakers understand ways to support healing from brain injury. The photography phase lasted 10 weeks, from September to November 2006. During this phase, participants took photographs and discussed them together as a group, wrote narratives for selected images, and held a trial exhibit of 50 photos and narratives, grouped into nine categories, including The Journey, Challenges, and Hope for the Future. The three co-facilitators and eight participants have continued their efforts in an outreach phase, ongoing through Spring 2010. The group decided on nine categories as follows. The group presented their exhibit at the annual conference of the Brain Injury Association of Massachusetts in March 2007 and led a Photovoice training workshop for Massachusetts brain injury support group facilitators in May 2007. Additional exhibits and trainings have included posting the exhibit in public libraries in Massachusetts, at the Massachusetts State House, and at Spaulding Rehabilitation Hospital Boston, and doing a second photovoice project with new members of the Amazing Brain Injury Survivor Support Group in Framingham. The original project has inspired several brain injury photovoice projects in other states. The following represent samples for three of the nine exhibit categories (listed above), developed by participants and facilitators together. Each photo shows the category & the photo title. "It’s a muddy, rutty, hands-and-knees crawl up to the first rung of the ladder that begins to make some semblance of sense—and then you get to begin to really struggle. The climb does not and will not end. There is no final healed bone or mended tear of the skin to get over. Sometimes weekly, and sometimes daily there is a new step to attempt to get to your “new self”. You can’t even ever hope to get back to your “old self”. Oh well! Maybe there will be a good view on this journey that I hadn’t expected......"
"New Identity. New passion of gardening. First baby step was planting in containers so as to not fall into dirt because of imbalance. My garden has progressed as my new life has. Now I not only can plant in the ground, I dig up grass and now have three perennial gardens." "My thoughts no longer correspond to action. Thus, putting things in places that have no meaning: like keys in the freezer." "Imagine your automobile stuck in a snow bank. You hit the gas pedal and all the tire does is spin. Now imagine yourself trying to run on ice (without wearing a pair of skates). The faster you run, the more you get nowhere. These images parallel how each and every day of my life begins since I suffered my brain injury. I seem to spend a whole lot of time getting nothing accomplished." *See more of this amazing exhibit at Brain Injury X-Posed: The Survivor's View at the Brainline.org website below and at BIA-MA. 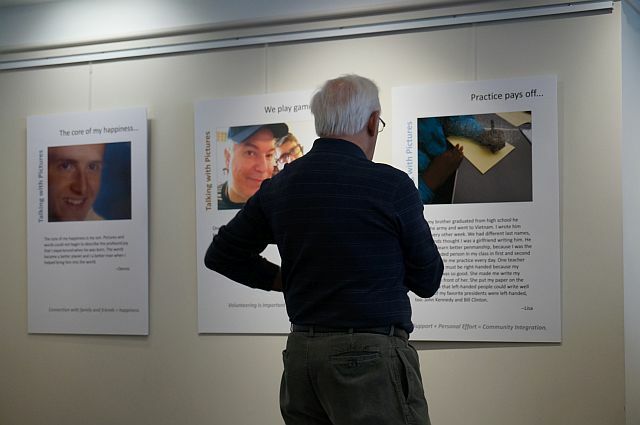 "The exhibit is a moving glimpse of how individuals with brain injury deal with this major change and move on with life," said Laura Lorenz, Ph.D., Brandeis University, who brought this "PhotoVoice" project to the Brain Injury Association of Massachusetts. The project and exhibit eventually went on to be recognized by Brainline.org, WETA TV , PBS, and DVBIC. 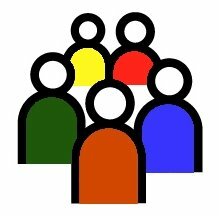 Brainlinemilitary.org - Part I: Brain Injury X-Posed: The Survivor's View. BrainLine.org is a national multimedia project offering information and resources about preventing, treating, and living with TBI. BrainLine is a service of WETA, the public TV and radio station in Washington, DC. with funding from DVBIC The Defense and Veterans Brain Injury Center. WETA is the third-largest producing station for PBS. BrainLineMilitary.org provides military-specific information and resources on traumatic brain injury to veterans, service members in the Army, Navy, Air Force, Marines, National Guard, Reserve, and their families. Through video, webcasts, articles, personal stories, research briefs, and current news, those whose lives have been affected by TBI can learn more about brain injury symptoms and treatment, rehabilitation, and family issues associated with TBI care and recovery. BrainLineMilitary.org is part of BrainLine.org, a national multimedia project offering information and resources about preventing, treating, and living with TBI. BrainLineMilitary.org is funded by the Defense and Veterans Brain Injury Center, the Primary Operational TBI Component of the Defense Centers of Excellence for Psychological Health and Traumatic Brain Injury, through a subcontract award with the Henry M. Jackson Foundation for the Advancement of Military Medicine. *Note: For more information or questions about these two projects please contact Laura by emailing her at laura@lslorenz.com, or use our Online Contact form (here). Please include "Re: Brain Injury X-Posed The Survivor's View Projects I and II" in the subject line. Want to do your own Photovoice project? - Here is a copy of the Photovoice Facilitator's Guide developed by Laura S. Lorenz and Barbara Webster to help get you started. Jump to PhotoVoice Exhibits to see when and where this exhibit is on display. With funding from the EQUITY Project of the Government of South Africa and the US Agency for International Development, Laura facilitated a photovoice project with 16 youth, brought together through a local Mdantsane Township organization called the Youth Academy. The initiative provided an opportunity for youth to have a voice in their township as they took photographs and wrote essays about local issues, and developed an exhibit to inform local policy makers, including community groups, community volunteers, social workers, teachers, and government agencies. Their exhibit of 80 photographs and narratives covering health and welfare, security, township life, education and training, economic opportunity, and community vision was posted at libraries in East London and Mdtansane Township, and in the regional capital. The largest category of photos was health and welfare. Photos and narratives in all categories addressed HIV/AIDS and demonstrated the devastating effects of the epidemic on South African youth. The following are sample photos and captions for two of the six exhibit categories, which were developed by participants and facilitators together. *Note: For more information or questions about this project please contact Laura by emailing her at laura@lslorenz.com, or use our Online Contact form (here). Please include "Re: Mdantsane Township, South Africa Project" in the subject line. As part of an independent study while pursuing a Master of Education in Instructional Design at the University of Massachusetts Boston, Laura designed and led a pilot photovoice project with five girls aged 11 to 17 years through Girls Incorporated of Greater Lowell. The participating girls took photographs of their community—both its positive and negative aspects—and shared their point of view through exhibits at Lowell City Hall, Pollard Memorial Library, the Brush Gallery, and Middlesex Community College. The decision makers they reached included family, friends, neighbors, peers, teachers, community leaders, foundations, and elected officials. The pilot project won a national Girls Inc Program Award in 2001, and in 2002 Girls Inc of Greater Lowell applied for and won a Strengthening Families Program grant, funded by the Annie E. Casey Foundation, to develop a photovoice curriculum guide. The Photovoice: Girls Vision, Girls Voices curriculum is now a national Girls Inc program, and Girls Inc affiliates throughout the US and Canada carry out numerous photovoice projects each year. Girls Inc of Greater Lowell continues to lead photovoice projects and share the methodology with other Lowell youth through outreach programs at local middle schools. The following are sample photos and captions from the exhibit. *Note: For more information or questions about this project please contact Laura by emailing her at laura@lslorenz.com, or use our Online Contact form (here). Please include "Re: Girls Incorporated of Greater Lowell Project" in the subject line. Laura developed a series of symbols to illustrate the Photovoice process and steps, which she calls “A Photovoice Path.” The path helps with planning. It provides a useful tool for participants to understand the Photovoice activities and track their progress. *Note: Visit the Research & Other Projects section of the website to see what other research and projects are going on. Members of the Framingham Brain Injury Survivor Photovoice Group at Braintree Rehabilitation Hospital’s Stroke Awareness Day, May 21, 2009. Also present were Harvard School of Public Health Fellow Miwako Hosoda, PhD, and Japanese stroke survivor Rio Takahashi. 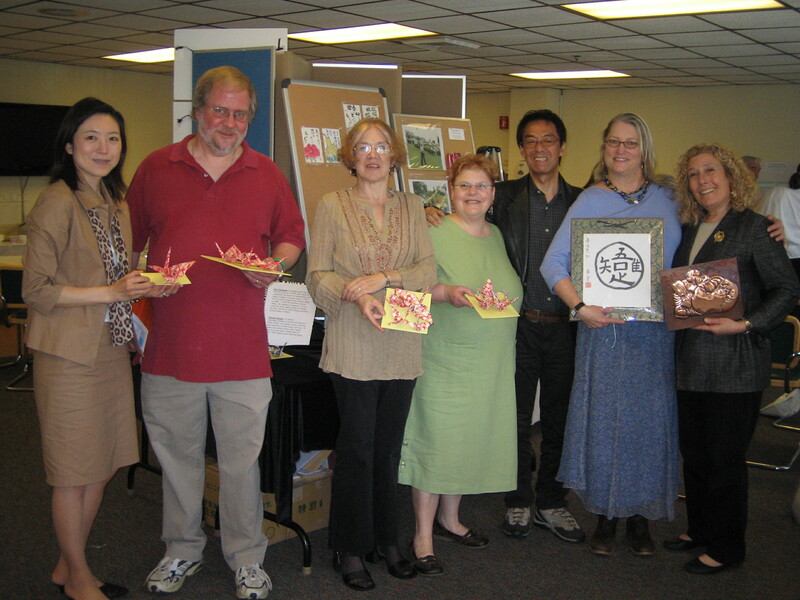 Pictured here from (left to right) are Dr. Hosoda, Scott Davis, Kathleen Decenzo, Judy Szczeblowski, Rio Takahashi, Peggi Robart, and Dr. Laura Lorenz, all holding artworks created by Japanese stroke survivors who have participated in research with Dr. Hosoda. Boston, MA. March 9th-13th 2009.
please include "Re: PhotoVoice Exhibits" in the subject line. Jump up to: PhotoVoice Projects above.